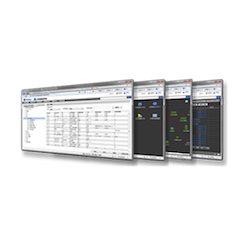 MSO resource assurance system has been designed to support multi-vendor equipment standardization to improve the operation efficiency with shared information model. Currently the system can support HFC, CMTS, IPQAM, VOD and EPON+EOC network domain. It provides end to end service view of HFC cable television service and broadband access service. The resource assurance system could be integrated with NMS3-Enterprise system to supply advanced features. Unified Dashboard for user to define interfaces and monitor related information in the same interface. Integrated alarm automatic processing with order management system.